Specific skills are vital for success with tax technology. But with few guidelines and no suitable training these skills were hard to put your finger on, until now. The ‘Smart’ Tax Technology Advanced Program is more than a course. It’s also a living support community and an instant-access resource. 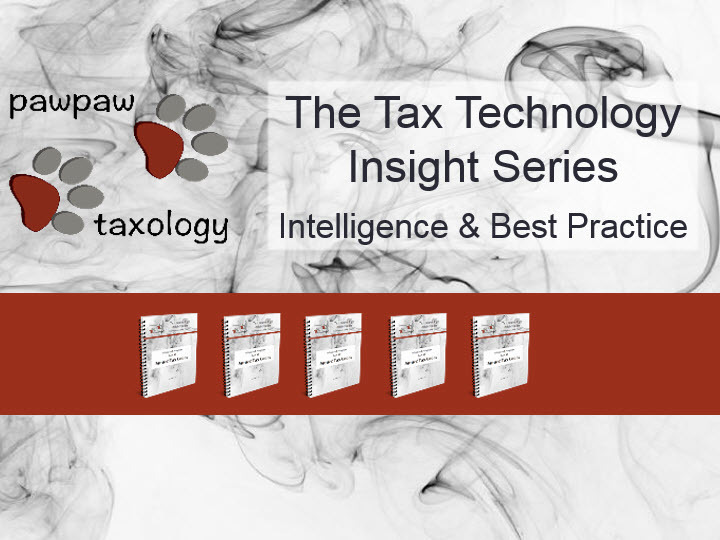 Recently we introduced the Tax Technology Insight Series (click here to view the announcement) where we explained how certain thought processes can make or break a company’s tax technology strategy. We then pointed out how you will benefit just by registering for free. Now we are excited to introduce the 5-part Smart Tax Technology Advanced Program. As part of the Insight Series, it is the first ever to directly address the specific (yet broad) range of capabilities, methods, and knowledge needed for front-line governance, deployment and usage of technology in Tax. Wait a Minute! What the Advanced Program is Not! It’s *not* a series of technical courses (available from educational institutions) or product instruction manuals (available from the solution providers). Instead, it gets behind the superficial to distinguish what makes great leaders & practitioners of tax technology. This is crucial when the difference between the best and the rest can be measured in orders of magnitude of value returned. In 2015, Thomson Reuters introduced the term “Taxologist”. We loved it! It was the perfect job title for those operating in this space. Then we realized that every company has one, namely those that handle even the smallest part of Tax systematically, and that’s almost everyone. Granted, many don’t think of it like that, at least not yet. So, good Taxologists are key, but: What is a Taxologist? How do they fit into the organization? What skills must they have? How do I get one, or become one, or be a better one? How Does The Advanced Program Help? Most people operate as if the technology itself is so complex and opaque that it is intractable and unknowable. This is not true. Details are important and cannot be ignored, but by presenting them conceptually it’s possible for stakeholders at every level to quickly comprehend, engage and contribute. To achieve this, a set of fundamental principles and criteria, which are applicable to enterprise technology for tax business in general, are established. This then forms the basis for step-by-step examination of real-world problems, from which a set of ground-up best practices is derived. Elevate your own capabilities and prospects. So, stop figuring it out yourself and join the fast track. Part #1 available now. Learn more here. Start today! Acknowledgement of Thomson Reuters for introducing “Taxologist”.